When your engine goes out in your car, there’s isn’t much you can do. You can always buy a new car, which is expensive, buy a new engine, which is still expensive, or buy a used engine. Used engine sales can be daunting to even the most experienced car buff, though. Here at Thunderbolt, we want you to be sure of your new-to-you used engine. 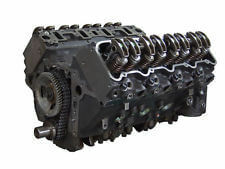 This may seem like a no brainer when looking for a used engine, but it is an important step. Not only does the engine need to be able to fit into the engine bay, it also needs to couple properly with your car’s transmission. 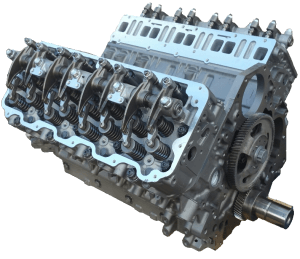 Make sure that any engine you’re considering is the right size for your car. This may seem like another given, when deal with used engine sales, but it’s an important step! Always ask to start the engine before purchase. It may take some extra work, but insist on it. Just because the engine looks good, doesn’t mean that it’s going to run the way you want it to. It’s always best to check and test your engine before purchasing it. After starting the engine, listen for grinding or whining noises; it’s usually a sign that the flywheel has worn-out teeth. If the pitch of the engine rises and falls while it’s idiling, it probably means that the cylinders have been worn down. Always remeber to try and remove the spark plugs! If they’re covered in oil, or have a white residue build up, it could mean that the engine has an oil control problem. If you’re looking for a reliable used engine, Thunderbolt is here to help! We’ve been a trusted name in engines and transmissions in Houston for years now. Check out our car engines to see if we carry a used engine for your car!